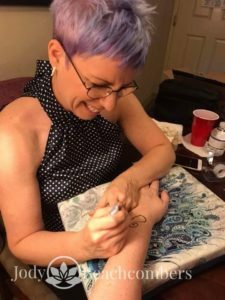 The color and longevity of a henna tattoo depends on a number of factors including low long you leave the paste on your skin, what part of the body you decorate, the cleanliness of the area, your skin chemistry, and how you care for your henna. 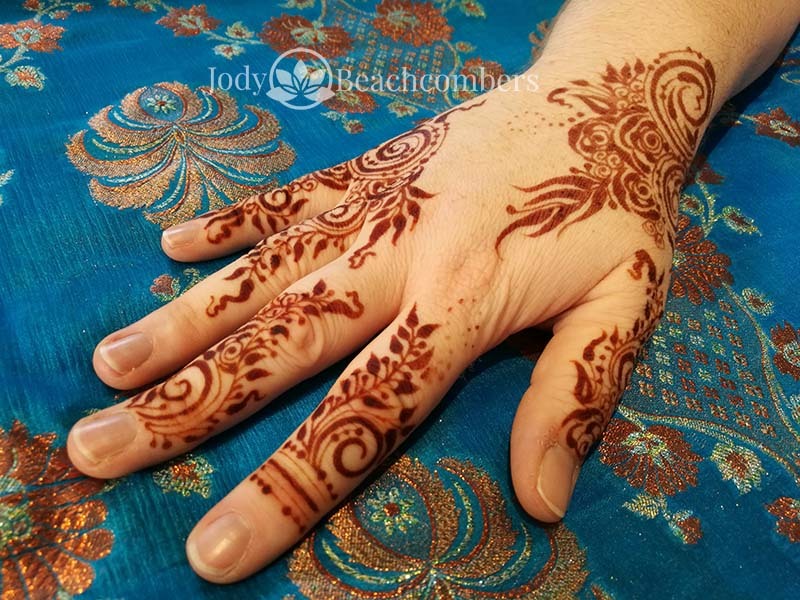 Henna aftercare is very important to the color and longevity of your henna tattoo. Henna starts off orange and darkens over 2-3 days to a red/brown color. The hands and feet get the darkest color, and the further away from those areas you get, the lighter the stain. Generally, you can expect good color for 5-10 days and all traces of henna will be gone in 1-3 weeks. The best color is 2-3 days AFTER the henna is applied. 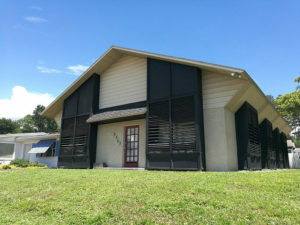 The final color you get will depend on all the factors listed above. Keep the paste on as long as possible, ideally 4-8 hours or more. Avoid water for as long as possible (try to avoid water for the rest of the day). Keep the skin warm while the henna paste is on the skin. The longer you keep the henna paste in contact with your skin, the darker and longer lasting your henna tattoo. The longer you avoid water, the better the henna will oxidize. Henna is a permanent stain. The henna doesn’t fade away, your skin cells exfoliate off, thus “fading” the henna. Anything you do that is exfoliating will fade your henna. This includes swimming, cleaning chemicals, facial scrubs, and anything else that exfoliates the skin. Avoid all oils or lotions on the area you want hennaed. If you use a heavy body butter, avoid using it a day or two BEFORE your henna appointment. Body butters and take some time to clear out the skin cells. Henna requires clean dry skin for the best color. Avoid self tanners in the area to be hennaed. Henna has trouble bonding to skin cells that have self tanner. Some people naturally stain darker or lighter than others. Henna is a transparent stain. It uses your skin tone as it’s base. This means it will stain every skin tone, but it will stain different skin tones in different ways. Medication and hormones can effect henna stains. For example, your henna stain may be lighter if you are on medications, hormones, or are pregnant. The only way to know how these things will effect you, is to have henna done. Cold skin does not stain well. Take care to keep the skin warm while the henna is on the skin. The hands and feet stain darkest. 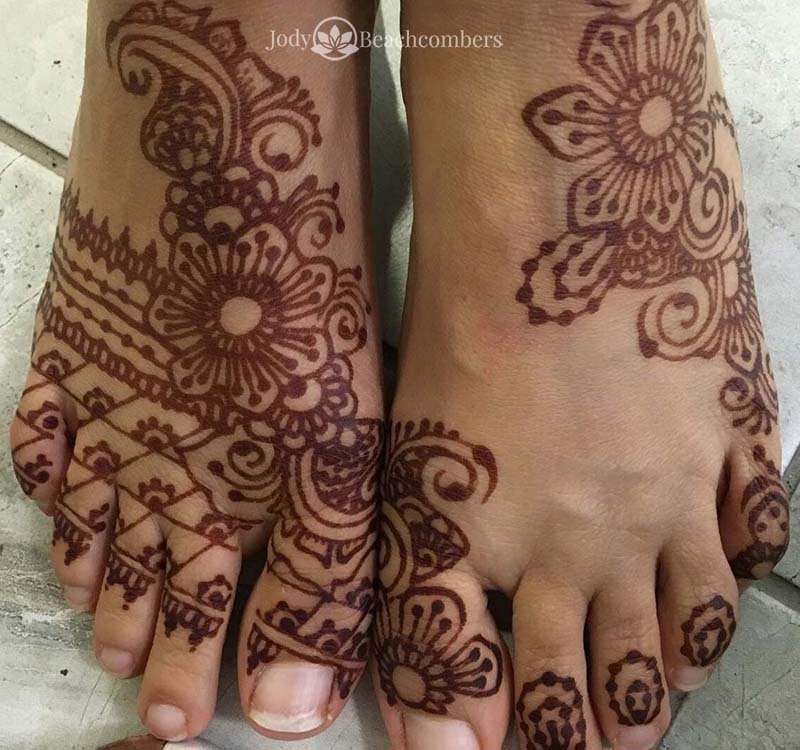 The further away from the hands and feet you get, generally the lighter the henna color. By contrast, these lighter stains tend to last longer because the hands and feet exfoliate quicker. Who Is My Henna Artist? All henna appointments are with me, Jody. I have been doing henna since 1999, and I’ve been teaching the art of henna since 2004. I am a professional mehndi artist, not a hobbyist. I KNOW henna! All the pictures on this site are of my actual work, so you can be confident of the quality of henna you will receive. I personally mix the henna paste that I’ll be using on you. Note: There is no outside sign. Parking is in the back of the building. Click the schedule button for convenient online appointment scheduling.